Yeah, we’ve had plenty of “dreams” involving a Nate “fantasy”… but none of them involved a dog park. Oh, well. There’s one thing designer Nate Berkus loves just as much as a geometric print or a vintage lamp: dogs. 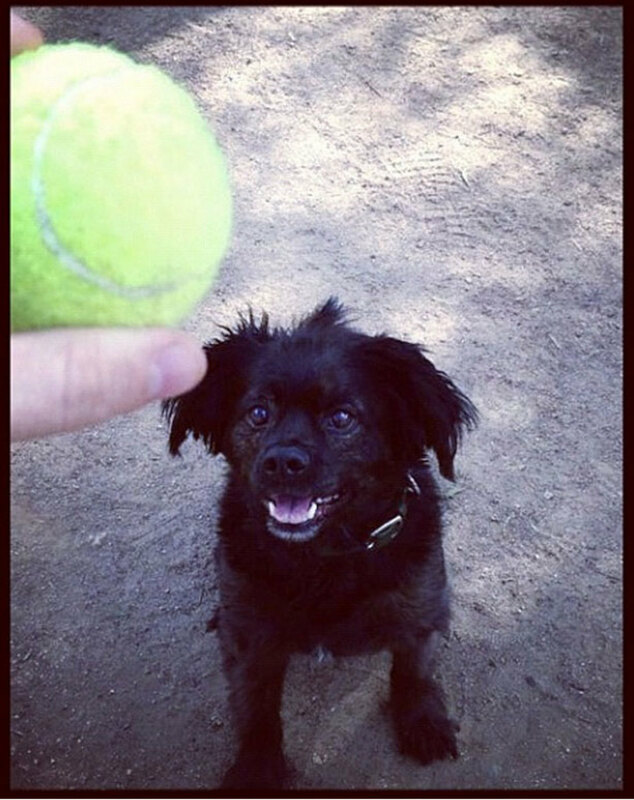 And, more specifically, his own dog Tucker, an adorable black mix whose main passions in life are squirrels and tennis balls. That’s why Berkus was thrilled when Beneful brand dog food invited him to Lancaster, Pa., to help unveil their third $500,000 Dream Dog Park renovation—a paradise for dogs and their owners featuring a 40-foot-long roller coaster bridge, a mulch exercise path, a tennis ball tree, and tons of other fun canine-friendly attractions. Next year, he’ll help one lucky winner design a new dream dog park in their own community. The interior designer and TV personality is also busy gearing up for his new NBC show, American Dream Builders, in which top designers and architects from around the country will put their talents to the test tackling extreme home renovations. On designing a dog-friendly living space. On his dog Tucker’s ideal dog park. NKLA Pet Adoption Center Now Open! Congratulations to our friends at Best Friends Animal Society on the grand opening of their new initiative, The NKLA Pet Adoption Center! It is a stunning new facility – unlike any adoption center you’ve ever seen – with plenty of beautiful dogs and cats looking for forever homes… Like the lovely Hannah, a 4 month old Pitbull mix seen above. She was a show-stopper and made friends with everyone in her path! We wish we could’ve taken her home with us. Please visit their new facility in West Los Angeles and spread the word! Your forever friend is waiting for you!